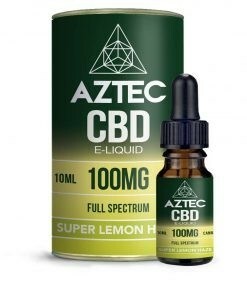 Aztec are known for offering premium quality CBD products, and this full spectrum e-liquid is no exception! 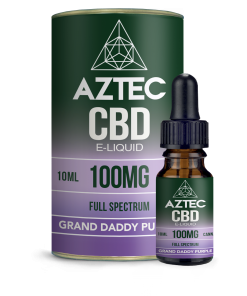 Containing 100mg CBD, it's organic, full of nutrients and a range of terpenes and cannabinoids. 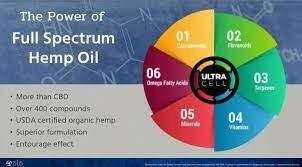 As a full spectrum CBD liquid, it also contains fatty acids and other elements naturally found in hemp plants. 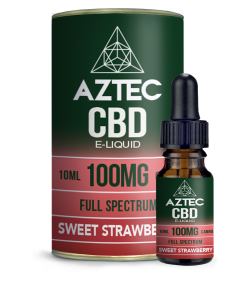 Take your pick from a range of epic flavours, such as the refreshing Sweet Strawberry, the citrusy Super Lemon Haze, or the cool Ice Mint. Whatever takes your fancy, you can't go wrong!